New Delhi (08/02/2019) : Bar Council of India will hold massive Protest Rally in collaboration with All Bar Associations to Collectorate office at 1.00 PM to 2.00 PM on 11th February, 2019 to handover such resolution and Nationwide protest Rally at respective STBCs Headquarters from High Court/Principal City Civil Court to Governor’s House on 12th February, 2019. This is based on the demand for welfare measures by the Lawyers of the Country from the Union Govt. 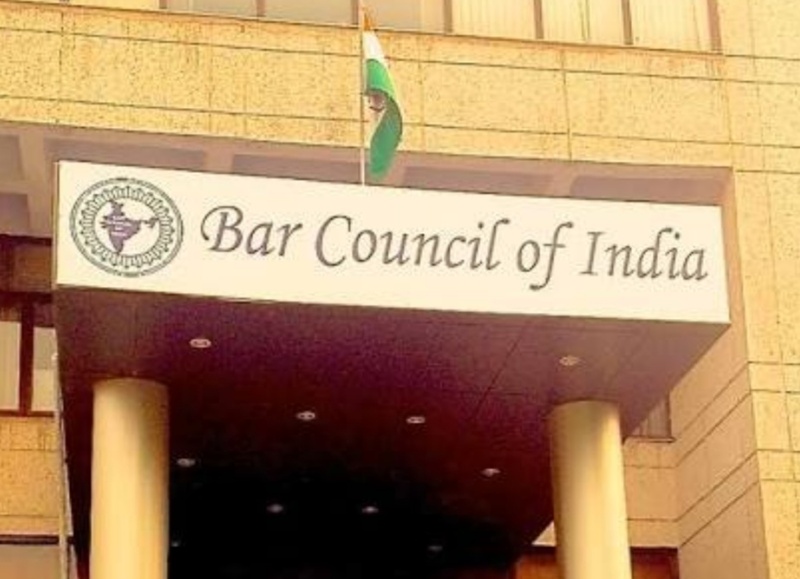 as per Joint Resolution of Bar Council of India, High Court Bar Association and Coordination Committee of Delhi & NCR Bar Associations dated 2nd February, 2019. They demand that all Bar Associations must be provided chambers, building, sitting facilities , separate toilets and canteens at subsidized rates for both lawyers and litigants, well equipped libraries, e-libraries, internet facility. Their also demanded allocation of Rs. 5,000/- crores for lawyers & Litigants welfare in Annual budget, Insurance cover and financial protection for the Lawyers and their families (dependents) in case of untimely death or incapacitation by reason of disease, accident, stipend for needy new entrants at the Bar upto 5 years of their practice (Minimum Rs.10,000/- Per Month) and to frame scheme for lawyers to acquire land at cheaper rates, amend Legal Service Authority Act and all Acts relating to Tribunals, Commission, Forums, Authorities to enable lawyers and not only Judges to discharge functions under Act. In accordance, Advocates of Delhi & NCR, (including Meerut, Ghaziabad, Noida, Greater Noida, Sonipat, Rohtak, Faridabad, etc. ), members of S.C. AOR Association, Delhi High Court Bar Association & Members of all Bar Association of Punjab & Haryana Bar Council will be assembling at Patiala House Court on 12th February at 12.30 PM and will stage peaceful protest “RALLY” towards Jantar Mantar, as revealed by the Secretary of Bar Council of India. BCI to stage massive Protest Rally on Feb 11Demanding allocation of Funds in Annual Budget!